Last updated: May 27, 2018 at 2:49pm by Savanah – In June of last year, New Hampshire became the 5th state to legalize online lottery sales. The state introduced HB 562, a bill to allow online poker and casino games, on January 25, 2017. However, this bill was shelved by state lawmakers on October 31, 2017. The NH Senate voted down a bill earlier this year proposed by Senator D’Allesandro by a 10-11 vote which would legalize the state’s first commercial casino. However, D’Allesandro does have some solid support from the Senate and Governor Maggie Hassan who has mentioned that a casino in the state would boost the state’s economy. So, there is still a chance of a bill getting passed in the near future. 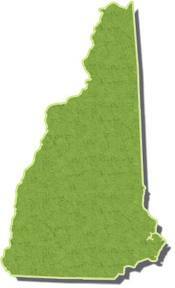 A poll taken fairly recently showed that 51% of New Hampshire residents favor casino gambling, 37% oppose, and 12% are neutral. This definition is a little more unique because it talks about the “future”, and “not under one’s control”. One could argue that poker is played at present time, unlike say a wager on a future football game, and a poker player has more control over the situation while playing cards as opposed to a person just watching a football game in which he placed a bet and has no control on the outcome. Most state definitions include the word “chance”, although contingent is basically the same thing, but this is important to note because if poker is considered skill, it would make it more legal in most states. If it is deemed chance, it makes poker more illegal. This is always a big debate when discussing poker and its legality. 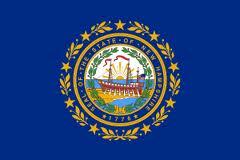 Click this link for a more in-depth guide on NH gambling definitions and penalties. Can I Play Poker Legally? Playing poker over the internet is walking a fine line but it’s hard to find specific laws stating it is illegal to do so, as well as finding cases where people have been arrested playing poker on their computer for money in the comfort of their own home; we have not found any such cases. There have been federal laws put into place such as the Federal Wire Act and Unlawful Internet Gambling Enforcement Act, but not even those go into much detail on what is legal and what is not. Those laws mostly talk about a financial/banking institute not allowing the process of funds to be accepted by an illegal gambling act like sports betting, or a gambling business accepting payments. Several payment processing companies shut down or changed their business model due to these Acts in order to maintain financial stability. However, there are still several banking methods to choose from and our deposit page lists several of the best options available for USA players. If those words aren’t encouraging when it comes to playing poker I’m not sure what is. It would be nice if they just made the laws more clear when it comes to poker and gambling, but I’m sure through time it will be. There are dog tracks and horse racing tracks open to the public for gambling. The Racing and Charitable Gaming Commission regulates horse and greyhound racing along with a few other regulated gambling activities. They are also the agency that issues these licenses and collect the taxes and fees. After 110 years in business, the Rockingham Park racino closed in late 2016. Charitable gambling is also allowed under certain restrictions, and they do have a state lottery. However, there are no state owned casinos or Indian casinos available. This is always a large topic of discussion with state representatives, it’s pretty much split down the middle with a slight edge favoring having no casinos in the state of New Hampshire. Many officials want to approve two casinos to be built and tax them heavily, but thus far nothing has been approved. They were only one vote shy, 173-172, in 2014 for passing a casino bill which would have allowed the first two casinos to be built in New Hampshire. 2017 could be the year where a casino bill finally gets passed.